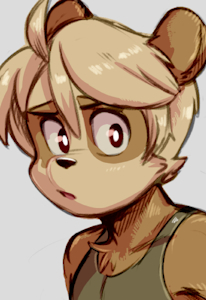 I like do mostly do fan art of things~ once in a while I'll fall back on drawing my panda-sona guy. Please consider supporting me on Patreon~ any little bit is of great help. or donate if you'd like! will do one minor edit anything past that will be an additional charge so please make sure you give detailed descrip + reference info beforehand. do message me if you have any questions. I love your art and your choice of subjects! My friend, your art is fine and dandi. Hawhaw see what i did there?! Seriously tho, yer art is just fantastic. Oh my GOODNESS! I love your style! I may have to throw money at you next time your open for commissions. Would you draw TMNT? I'd love to see 2K14 Donnie in your style. Thank you for visit my gallery, I really apreciate it.